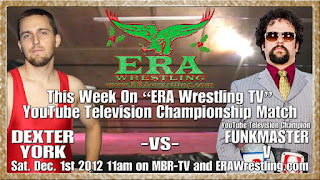 Don't miss Saturday's episode of ERA Wrestling TV. 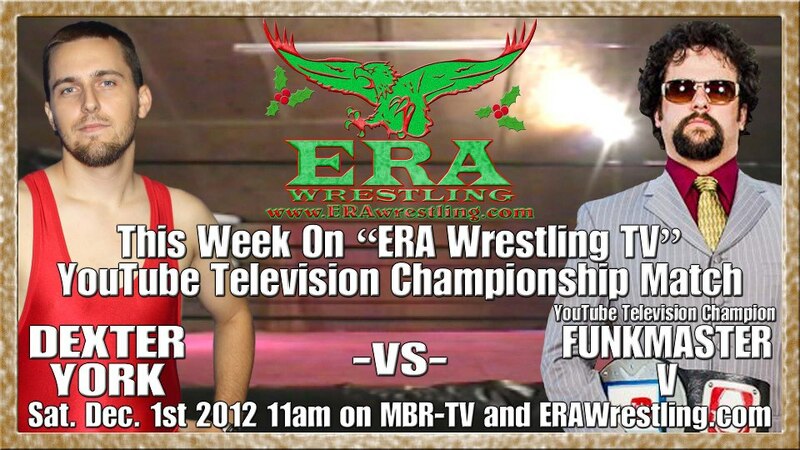 Death Stalker, accompanied by James Cole, will take on Freak Show, we see more highlights from Nov. 10th, and in a huge main event the East Tennessee YouTube Television Champion Funkmaster V will defend his title against Dexter York. Did you know that Funkmaster V has over 8 hours of wrestling greatness, promos, TV clips and more hee-haw uploaded on a very special playlist only available through his website? It's true. Click the "Matches and Promos" button up top to browse through the fun. We are also overhauling the old site and combining it with the lay-out of the new site. Next on the agenda is the "Pix" page... being updated with tons of pictures of Funkmaster V, Sassy Frass, Crimson Waters and all of his foes as we speak. Check back for updates as they come! Check out the new stuff, feel the love, cough up some money... The funk godz will smile down on ya! Click HERE to purchase securely with PAY PAL!!!! "Live Performance Captured on DVD Technology"
Filmed at Manhattan's in downtown Knoxville in 2004 by a nice guy who's name I forget, this rare performance video features the original line-up of Flipside Runner playing original tunes, funk music, modern rock, and more whilst engaging each other and the audience with the signature FSR banter. Features DVD XTRAS. "Awesome Rock for Your Ears Only"
Incredibly deep lyrics, solid rhythm and hypnotic guitar riffs highlight Flipside Runner's debut CD that features 9 songs that will woo you into the night. Top shelf production by Voytek Kochanek at Atlantis Studios. This is a rock album that features the serious side of Funkmaster V, JR Horn, Brian Smith and Scott Sutherland. "Funk-Man Beats Up Baddies on TV Screens"
2 DVDs of Funkmaster V's best matches, his signature promos, his famous vignettes, and all other things funky. You will be overjoyed to know that this will be the best 8 dollars you have spent this week. Between the wrinkles of time and space, Hitler, the biggest hater of funk music of all time, learns of Funkmaster V's return to pro wrestling in East Tennessee. He is not a happy camper.